One of Lama Zopa Rinpoche’s Vast Visions for the FPMT organization is to build 1,000 statues of Maitreya, the future Buddha, around the world including the two substantial Maitreya Projects in Bodhgaya and Kushinagar, India. Life-sized gold leafed Maitreya statue, Kachoe Dechen Ling, California. You can donate directly to the big Maitreya statues being built in India. 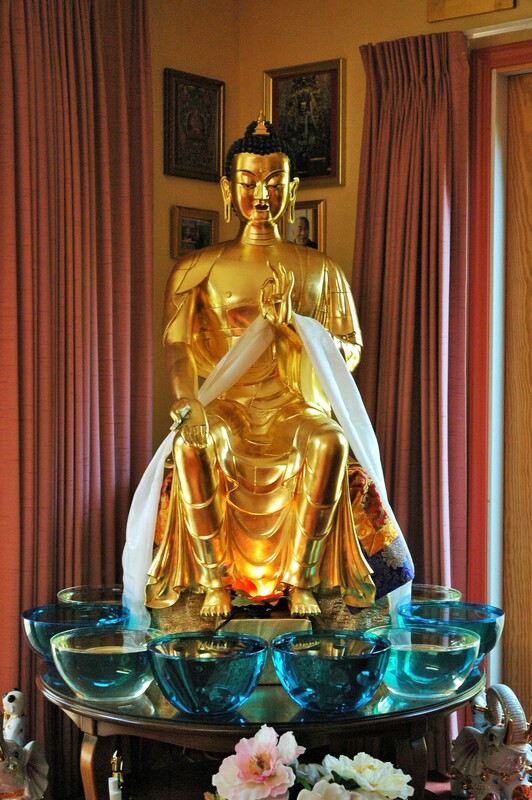 The Lama Zopa Rinpoche Bodhichitta Fund contributes to the building of Maitreya statues around the world.